‫آية هو تطبيق متكامل لتلاوة وتدبر القرآن الكريم، يجمع بين جمال التصميم وسهولة الاستخدام، الفائز بجائزة الكويت الدولية في دورتها الثامنة كأفضل تطبيق قرآن، يأتيكم من مركز تفسير للدراسات القرآنية. 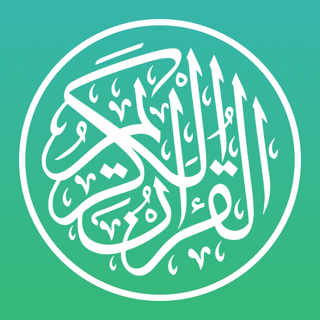 Ayah is a full-featured Quran app that is beautiful and easy to use, the winner of the Kuwait International Prize 2017 for the best Quran app, brought to you by Tafsir Center for Quranic Studies. ‫• يتميز تطبيق آية باعتماده لطبعة مجمع الملك فهد لطباعة المصحف الشريف بالمدينة المنورة لما تتمتع به من موثوقية وإتقان. ‫• اقرأ المختصر في تفسير القرآن الكريم المتميز بسهولة عبارته، مع ما فيه من بيان مختصر لمقاصد السور، واستنباط لأبرز هدايات الآيات، وبيان لمعاني المفردات الغريبة بلون مميز. ‫• استمع إلى نخبة من القراء المميزين مع دعم كامل للتحكم بالتلاوة من قفل الشاشة، وعدد مرات الترديد، ومؤقت الإيقاف. ‫• بحث سريع ومتقدم، يجمع بين البحث في الآيات وأسماء السور، وحتى الانتقال السريع بأرقام الصفحات. ‫• شارك آية أو عدة آيات عبر الشبكات الاجتماعية نصًا أو صورة بإخراج جميل ومميز. ‫• الفاصل القرآني هو علامة تنتقل معك من آية إلى أخرى ليعينك على متابعة ختمتك القرآنية. ‫• دوّن ملاحظاتك وتأملاتك أثناء التلاوة واستعرضها جميعًا بشكل جميل ومتسلسل، مع تنسيق تلقائي للملاحظات أثناء كتابتها. ‫• ميّز أي آية بنجمة للوصول السريع إليها لاحقًا. ‫• فوائد قرآنية متجددة مع كل زيارة للتطبيق. ‫• خلفية داكنة لقراءة أكثر راحة في الليل. 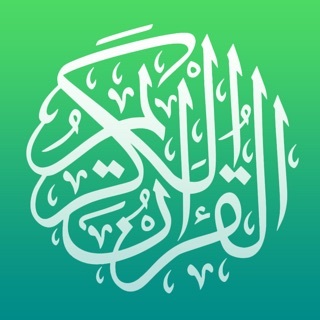 • Enjoy the most crisp and clear text of the Quran with the original Uthmani font. • Ayah is fast and reliable so you always have a comfortable reading experience. • Gapless verse-by-verse recitation by select reciters with support for adjusting repetitions and setting a sleep timer. • Search the entire Quran with instant results, or jump to a specific page by entering its number. • With a few taps you can share a verse or multiple verses as text or an image in the beautiful Uthmani font. • The bookmark moves from a verse to another to help you easily track your progress. • Capture your thoughts while reading the holy Quran. • Add a star to as many verses as you like for quick access. • Try Night Mode for easier nighttime reading. • Makes sure a note gets saved if the user quits the app before finishing typing it. • Fixes the start times of some verses for the reciter Shaikh Al-Shatri. 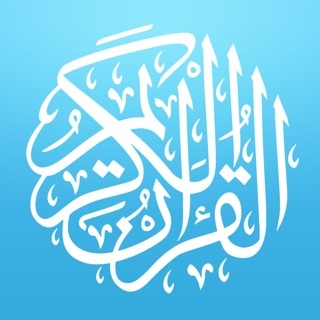 This is a great Qur'an app. It is light, loads quickly and is very responsive. The tafsir that comes with it is also good and very easy to read. Thank you also for bringing back the old icon which I voted for! One thing I would like to see is an improvement to the bookmark syncing via iCloud. There should not be any need to manually bookmark a verse to save its position in the iCloud. The app should automatically save the reading position. Then the second device (e.g. iPad) should open the last opened page on the first device (e.g. iPhone) automatically without needing to open the Bookmarks page. Also, starred verses and notes should also be synced along wih bookmarks. Please consider implementing these features in future updates. 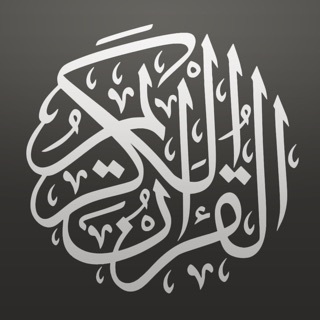 This really is an astounding app, but could you add more reciters including Maher Al Muaqli? I am aware you have dedicated an app that has recorded his recitations but there is always an indefinite amount of repetitions in that app. Could you add his recitation to ‘Ayah’? Thank you جزاك الله خير. I love this app so much, it has a tafser and everything that makes reading and understanding the quran easy, my dad suggested it for me and i dont use any app other then this ♥️ thank you.